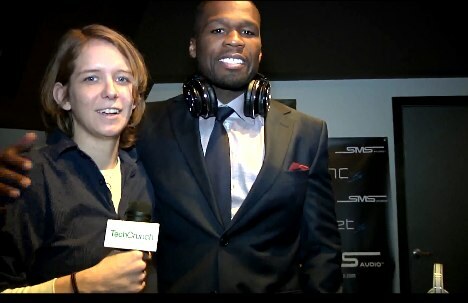 While we weren’t “In Da Club”, the Candy Shop, or the Disco Inferno, 50 Cent himself made some time this morning to meet us in downtown Manhattan and show off his brand new line of headphones. 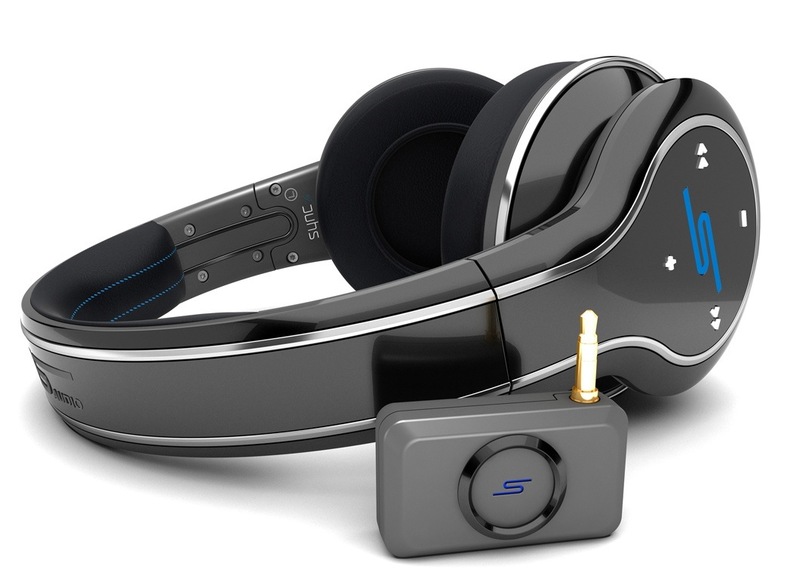 If you don’t already know, 50 originally tried to get the ball rolling in the audio biz with Sleek Audio earlier this year, until some licensing issues led him to become CEO of his own company, SMS Audio. This morning we were lucky enough to see the fruits of his labor in the form of two new sets of cans, Street by 50 (wired) and Sync by 50 (wireless). 50 also mentioned that he’d be at CES, so we’ll certainly be paying him a visit come January. In the meantime, let’s go over the deets on these new headphones. As far as the innards go, Sync by 50 (wireless) headphones use 40mm drivers with Kleer wireless technology integration. In other words, they’re the only wireless headphone set to incorporate full on-board controls. 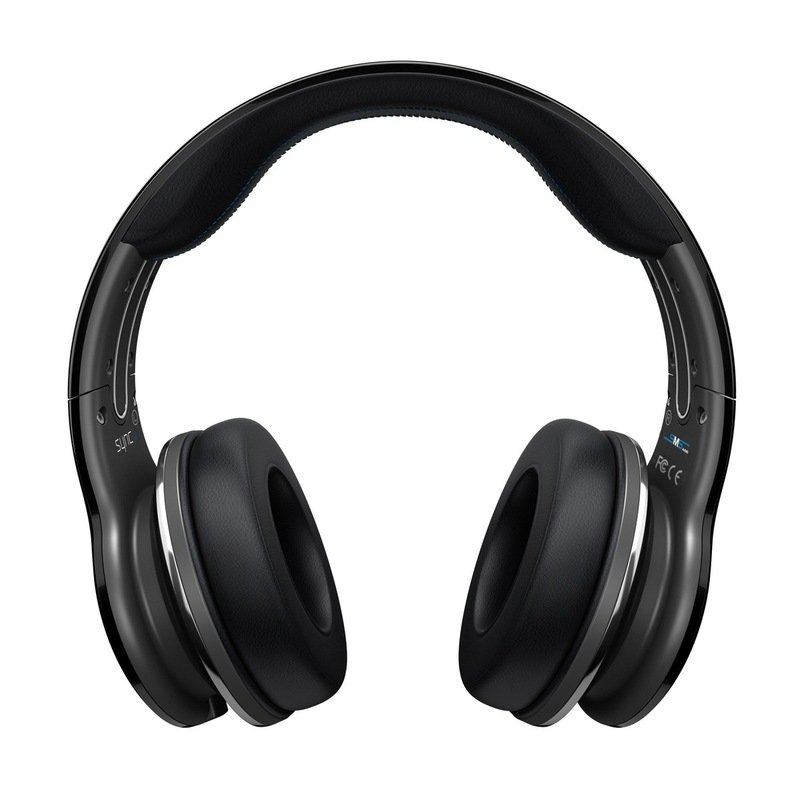 The wireless headphones can be used by up to four people listening from one source (Hey! Silent raves for everyone!) at up to 50 feet away. The integration of Kleer technology offers 16-bit digital sound, which should give you clear quality even without all the wires. 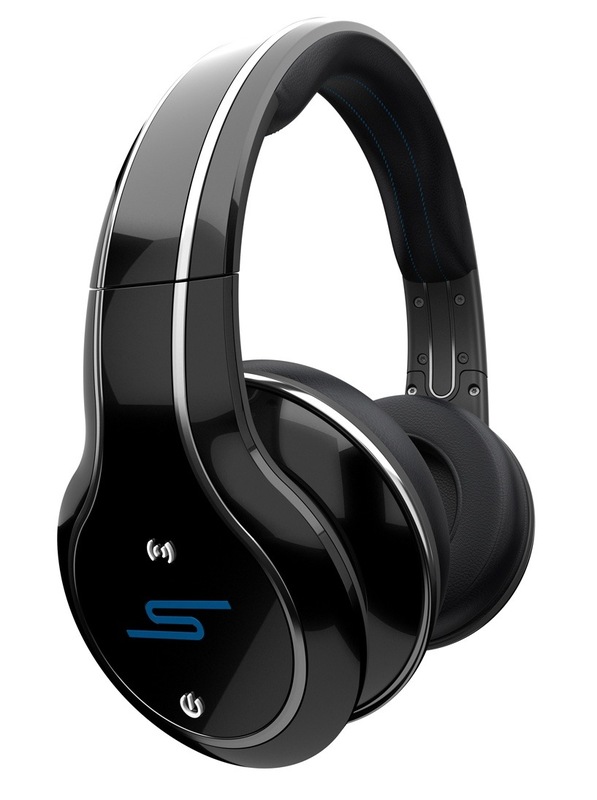 Sync by 50 headphones can be had in both black and white. 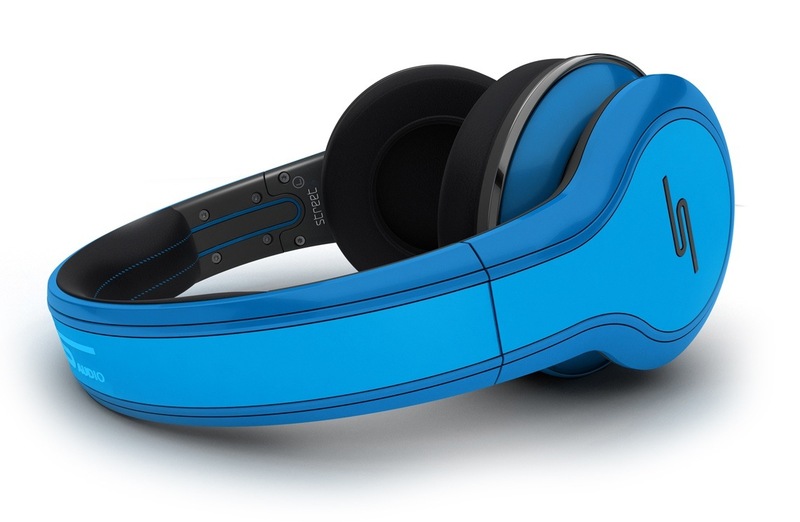 Street by 50 headphones also use 40mm drivers and come in black and blue flavors. I actually got a chance to go ears-on with both the Sync and Street models while chillin’ with 50 in the studio (cause we’re tight now), and I have to say bass was impressive without losing the mids and highs. I didn’t get enough time to do a proper review, but did notice that the Street by 50 headphones, made of ultra-flexible polymer, seem pretty durable and bend every which way when stressed. All in all, I’d say these are some pretty solid options if you’re in the market for a new set of high-performance cans. 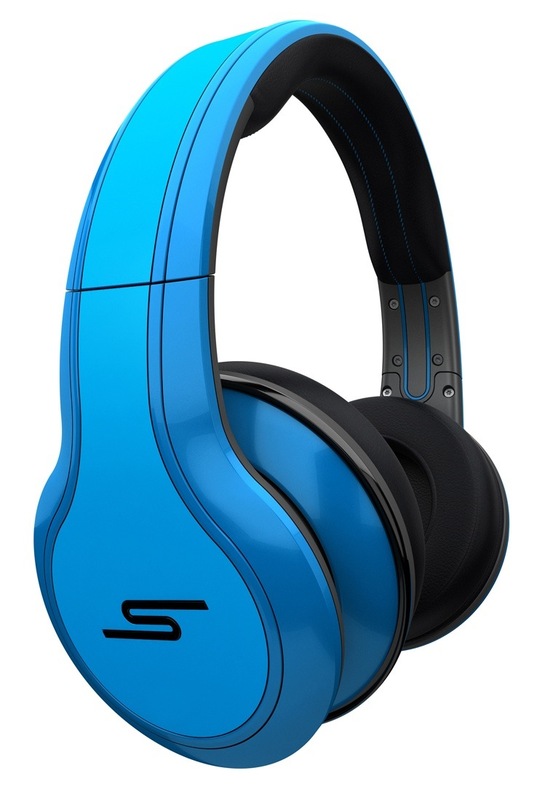 Street by 50 and Sync by 50 headphones are available now for $299.95 and $399.95 respectively, so if you’re interested go ahead and start saving now.